Manufacturer of a wide range of products which include wire winding machine. We are exporter & manufacturer of the wire winding machine for gold & silver wire winding to bobbin to various different size as per requirement. our machine works on up to 2000 RPM can do wind from 15 gauge to 50 gauge. this machine used in jewellery wire making industries, silver wire industries, brass, copper wire & platinum. the machine is fully automatic with PLC based programmable. for more details please contact us on. 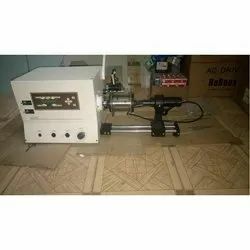 We have other models used for another purpose also like the winding of motor armature, transformer, thinner wire winding, & multi-coil winding machine.